Western Energy Institute (WEI) and PNW Utility Consulting (PNWUC) collaborated with ATI to customize a one-day informational course for employees working on utility customer care projects. The objective of the course was to bring an overall understanding of the electric utility industry along with highlighting key business, operational, stakeholder, customer care and emerging issues facing the industry. “Providing this special educational opportunity gives our employees a different and more comprehensive perspective on the industry and its customers. This knowledge helps our CSRs relate better to the complicated aspects of this regulated industry and translates into better customer service for our clients”, says Goran Samojlovski, ATI President. 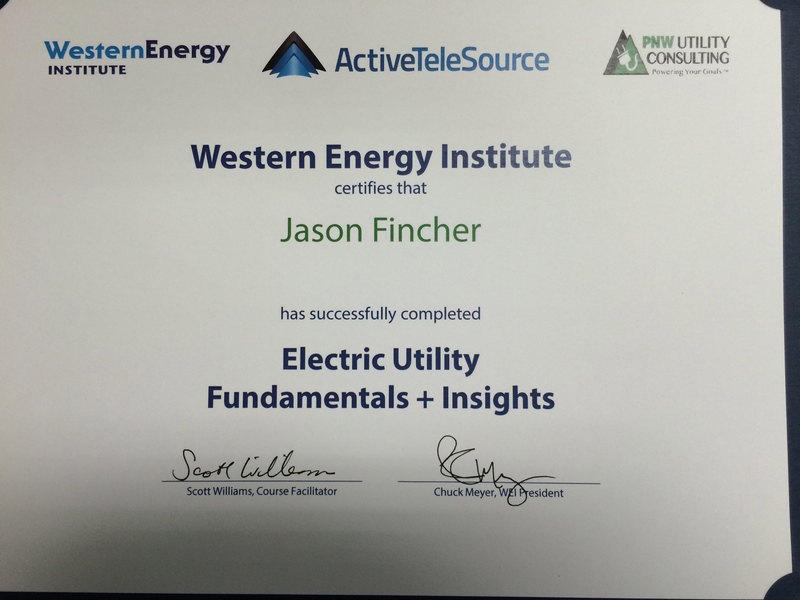 Bringing in education courses such as this demonstrates to our staff, our clients and the industry our commitment to providing the best utility-focused workforce we can. We look forward to working again with WEI and PNWUC in the future.